Sure, scarves may be little more than printed squares of fabric, but a certain alchemy happens when they drape over your person just so. But tying one on without looking like you're headed to a shootout at the O.K. Corral takes a certain finesse, so we enlisted Emma Grady, TreeHugger's fashion correspondent and founder of Past Fashion Future to show us how to style Snoozer Loser's Fall/Winter 2011 foulards. 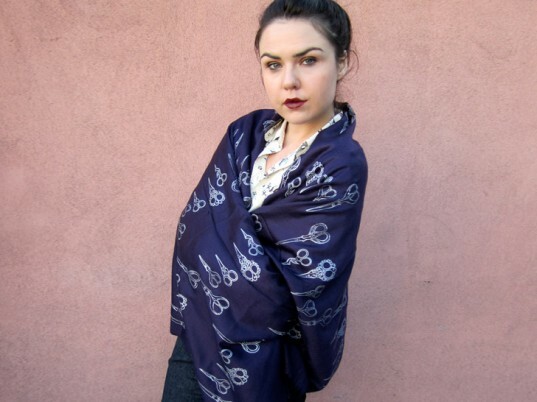 Derived from a blend of viscose and silk, fairly sourced from the Himalayas, each scarf features whimsical motifs (antique scissors, gilded birdcages, prancing Eastern unicorns) that Brooklyn-based designer Sonia Tay hand-prints using water-based dyes. The result? One-of-a-kind pieces that do more than keep your extremities toasty. But we'll let the inimitable Ms. Grady take it from here. "Keep it neutral while channeling the English countryside with chocolate, beige, and brown hues." "For conservative coverage to a sheer blouse, add a matching colored scarf. 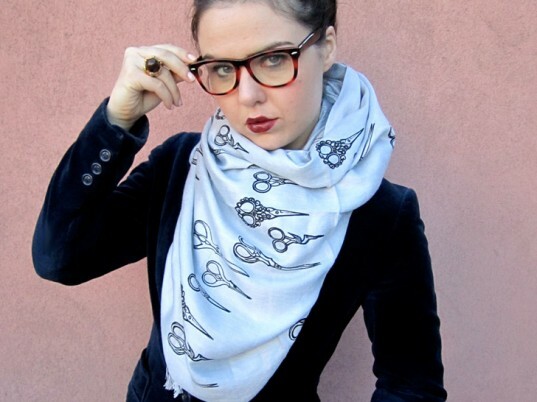 It also adds curiosity with layers because, at first glance, you don't know where the blouse ends and the scarf begins." 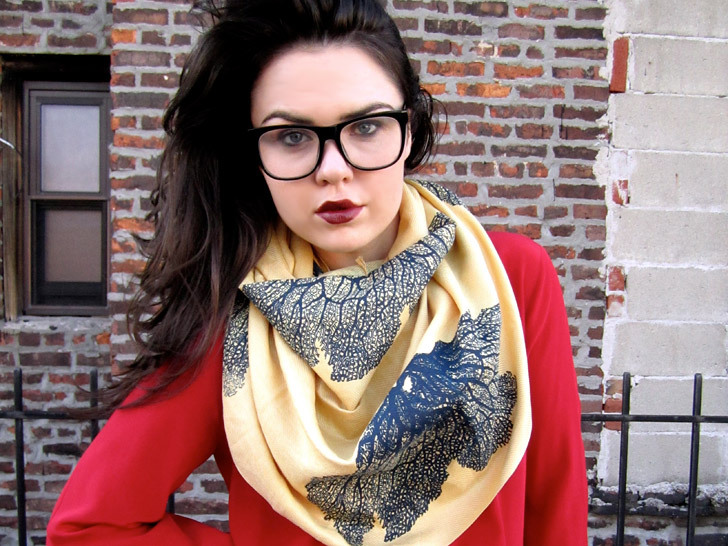 "Patterned scarves add a stylish twist to basic wardrobe staples like a long-sleeve T-shirt. Plus, it keeps your chest warm when you wear low-cut shirts." 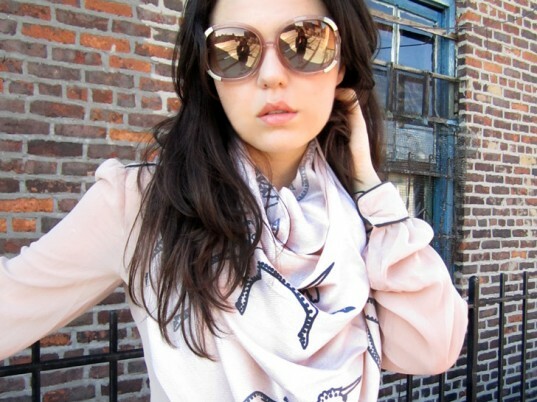 "Let the scarf hang naturally without tying it and it will elongate your figure." "Lavender pairs well with navy blue and brown hues. 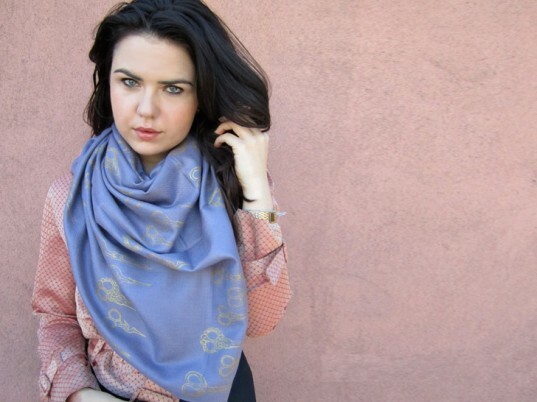 I like to play up its girly side by wearing it with pink and vintage costume jewelry to bring out the scarf's silver tones." "Fashion is supposed to be fun, right? Get playful with the patterns; they don't have to 'match.' 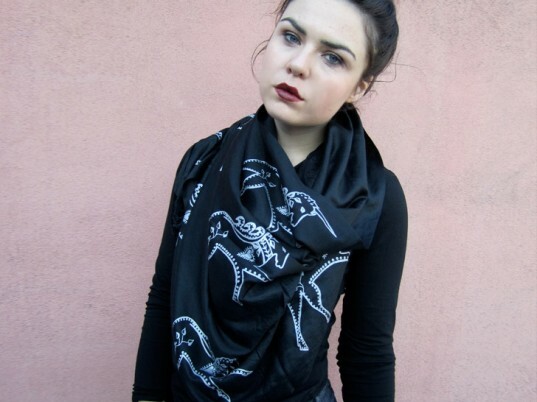 Plus, you can wear it as a shawl." 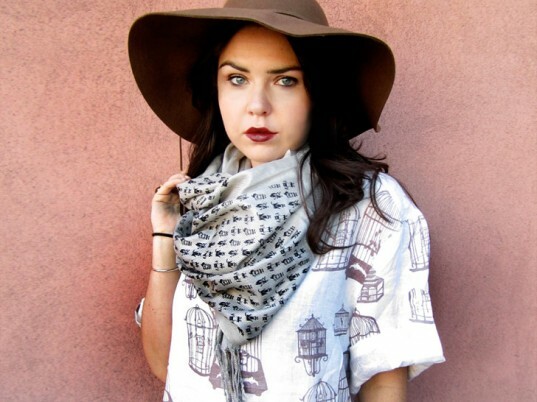 "Play up proportions with an over-sized blouse, a full-brim hat, and scarf." 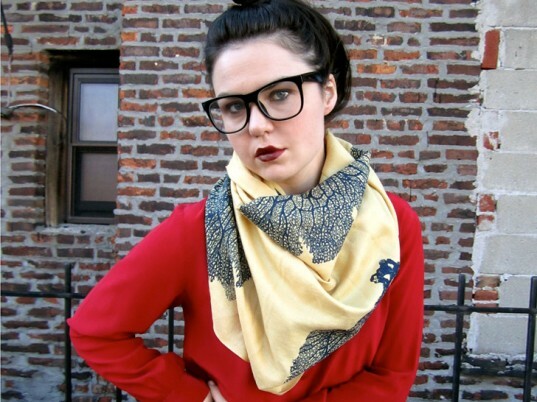 "Relive preschool art days with primary colors (and glasses for effect) by mixing yellow and red." 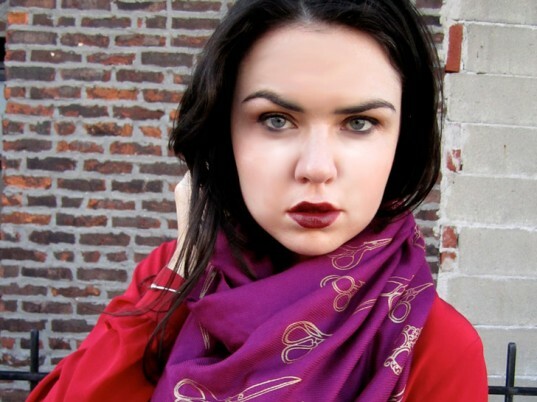 "Master this season's color blocking trend by pairing a vibrant plum scarf with a bold color, like this vintage red silk blouse, and a berry lip, to boot." 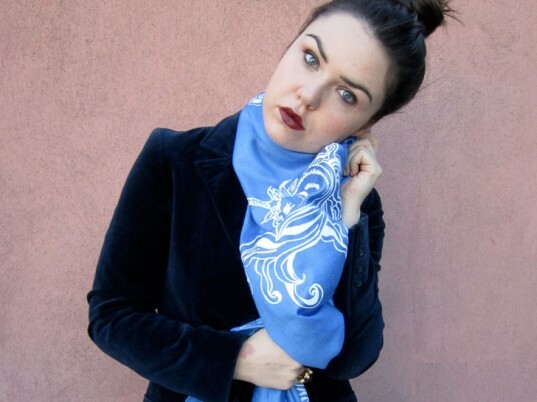 "Mix textures and juxtapose silhouettes by wearing a soft billowing scarf with a structured, form-fitting blazer. For a look that screams "très chic," pair navy blue velvet with a soft woolen gray."